A former land based bingo club situated in Cambridge have had plans that proposed to turn it into a burlesque rejected by the local police. The company who own the disused bingo hall (No Saints) are based in Milton Keynes and they argued that the old bingo venue at 42 Hobson Street in the city, “would be fantastic for Cambridge”……….however it seems the local bobby on the beat did not agree. No Saints had applied to the Cambridge City Council for a licence to be able to sell alcohol, put on different plays, live music entertainment and dance performances. But, as we now know this was rejected. It seems that the views of the local Police were given careful consideration by the Cambridge City Council, as their concerns in this instance were upheld. It is thought that Cambridgeshire Police expressed concern about the impact of the club which it said would produce “adverse consequences for crime and disorder”. You could say that just like Woolworths, many building previously owned are by them (and bingo operators) are either now disused or being turned into something else. 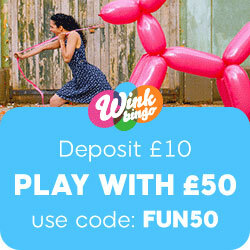 We have seen a steady decline in land based bingo clubs over the past five years and although some do believe that they will be making a comeback during 2011, we find this very doubtful. Land based bingo clubs have been hit hard in recent years and a number of different circumstances have been blamed for their demise. The way the public are playing the game, double taxation laws and the smoking ban have all be thought to have an impact on bingo clubs, which is why we have seen many of them close their doors for the very last time. It used to be that you would find a bingo club to frequent (even more than one) on every high street, but that is definitely the case anymore. There does seem to have been a shift in the way people are playing bingo and this is largely down to the boom of online bingo. Rewind five years and there were not that many households that have internet access in their homes, but now most households have internet. This opened up a whole new bingo playing field for the public as the game of online bingo offers nearly everything a land based bingo hall does to the player, but from the comfort of their own home. This entry was posted in Bingo News and tagged Bingo Club on February 2, 2011 by Emma.